The American Booksellers Association has announced the selections for the Spring ’15 Kids’ Next List, drawn from the recommendations of indie booksellers throughout the US. You can request the featured titles below on NetGalley right now, and view more information on the ABA site. To view the complete list of Kids recommendations please click here. You mainly review YA books – is there a particular subgenre that you prefer? It all kind of depends on my mood. I usually sway more towards fantasy and paranormal books, but I’ve been on a contemporary kick lately. How long have you been blogging about books and why did you start? I started back in June 2011. It all started when I stumbled across a book blog. I realized that there were a lot of books out there that I had no idea existed. Books that were getting passed by because they were not being pushed by big name publishers. I already had a food blog and decided that I wanted to try my hand at running a book blog as well. I wanted to be part of the book blogging community and help authors get their name out there while discovering some awesome books along the way. I do a blog post every other day. I decided back when I started to not bog down my blog with too many posts. Not only can I not read enough books to post a review every day, but I also want to give everyone a chance to see the posts before the next one goes up. However, I am online just about every day cruising through blogs, chatting on Twitter, and/or going through my email. So even though I may not be posting on the site, chances are I’m online doing something blog related. What title on NetGalley are you excited to read next? 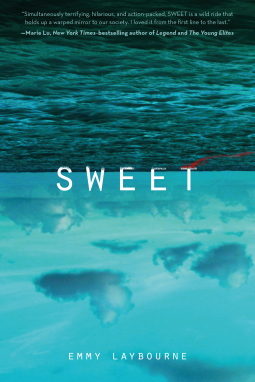 I’m really excited to have been approved for Sweet by Emmy Laybourne. It doesn’t come out until June and I’ve been trying really hard to wait closer to the release date to read it but I’m slowly caving in. It just sounds so interesting. When reading a book, how do you decide whether you will review it or not? Do you go into it knowing you’ll review it or do you decide once you’ve started or finished it? If it’s a book that I requested for review or one I agreed to review, then yes I definitely go in planning to review it. However, when it comes to personal and library books, it’s hit or miss. I read them for fun and it’s nice not having the pressure of dissecting a book for review and instead just enjoying it. Although, sometimes a book evokes enough emotion out of me that I have to write up a review to talk about what I just read. Which review that you recently submitted via NetGalley is your favorite? I’d have to say that my favorite review would be one that I loved reading. I’m very hard on books (there are so many out there) so when I find a book that I love, it’s kind of a big deal. 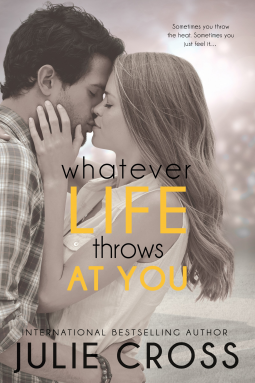 The last book I fell in love with was Whatever Life Throws at You by Julie Cross. It was also pretty cool because the book deals with a rookie baseball player for the KC Royals and at the time I was reading the book the Royals were going into the playoffs. I have to ask… are you a book sniffer? Actually I am. Not in a weird way though. I don’t go around sniffing every book I come across, it’s more subtle. Like when you get into a brand new car and you smell that new car smell. That’s kind of me but with books. For sniffing purposes, do you prefer new or used books? I can appreciate the smell of an old book because it’s had a long life and has been through who knows what, but I’m more of a new book kind of gal. I like opening up a new book, hearing the spine stretch out for the first time, and smelling fresh paper. What is your favorite aspect of your blog? I like that I’m able to connect readers with authors. It’s nice to know that you helped an author get their name and book out there. I don’t do a lot of features on the blog but my favorite ones are my Ramblings of a Book Sniffer posts. They are just posts where I sort of take over and talk about whatever it is that’s on my mind. I try to keep it book related but sometimes I talk about what I’ve been up to and post pictures from my life. It’s literally just a post where I can ramble on about stuff. How has being a NetGalley member and having access to digital galleys impacted your blogging? It’s impacted my blog in a huge way. Before I joined NetGalley, all the books I reviewed were either mine or ones I borrowed from the library. So of course, the books I was reading and reviewing were mainstream books. However, with having access to NetGalley titles I’m able to review books from debut authors and come across books I wouldn’t have otherwise known about. If you were going on a long journey and could bring no books or devices, but you had time to commit just one book to memory, which would it be? Hands down it would be Vampire Academy by Richelle Mead. I LOVE that series. I think I’ve read them at least 6 times now and no matter how many times I read it, it never gets boring. Thank you for having me. It’s not too often that I’m on the other end of an interview. If there is one thing I could say to readers out there it would be that you should make sure to comment on the blogs you follow. Nothing lifts up a bloggers day and makes them feel like they are reaching people quite like a comment does. I know I’m not alone in saying this, there have been a bunch of times where I have thought to myself that I should throw in the towel because it didn’t appear that anyone was even reading my blog. It felt like I was talking to myself about books. However, I’d get that one comment from a reader saying how I had just introduced them to a new author and book that they’d never heard of before and it made me feel like my blog was actually doing something. That at least one person out there read my review and found an author/book that would have otherwise flown under their radar. So yeah, if you follow a blog, or simply stumble across a post that you enjoyed reading, make sure to leave a comment on the post. Thanks so much for spending some time with us and answering our questions Kristin! Please make sure to check out Book Sniffers Anonymous and stay tuned for our next Blogger Spotlight! Would you like to nominate your blog, or a blog you admire, to be featured in our Blogger Spotlight series? I’m happy to welcome Lili, Children’s Publicity Intern at Bloomsbury USA and a blogger, as our guest writer today. Lili has been documenting her internship experiences in publishing in her Intern Diaries series and recently reflected on the NetGalley approval process from a publisher’s point of view. At NetGalley, we’re always looking for new ways to help our members improve their chances of being approved, and becoming better recommenders. Keep reading to find out more about what publishers look for in NetGalley profiles, and hopefully you’ll take away a tip or two! The below post originally appeared on Lili’s Reflections in her Intern Diaries series. After my first internship at a literary agency, I put together a free-flowing post about what I learned. Well, now that I am at Bloomsbury, I want to do the same thing as I go, but share it with my readers since I’m quickly discovering that many of you aspire to do the same thing that I am doing now! With 5 months under my belt and several more to go, I think now’s a good time to start recording my thoughts! This post series will be posted on Sunday’s whenever I get the time. I got a few questions about NetGalley, so I just wanted to post about it to hopefully clear things up in all areas! Here is something that I learned and never really realized as a blogger in regards to NetGalley…many titles have a limited amount of people that are allowed to download it. Those messages you get about there not being enough eARCs are actually real! And I know you’re sitting there thinking it’s an eARC, it’s not physical, so why is there a limit? And there’s a limit because, like ARCs, eARCs are meant to be read by a certain audience with certain kinds of platforms to get the word out there. As an intern, I do man the NetGalley account for review requests and media professional requests. Yes, these are two different things. If you are a blogger, you should characterize yourself as a reviewer, by the way. It’s important that you do this. There are certain titles with important caps that I can’t touch, but otherwise I am told to simply look at the blogs and use my best judgment while staying within a certain statistic or expectation range. 1. Make sure your blog links work. Every month, we get together to come up with a top-ten list of the UK titles we’re most looking forward to – and this month we’re focusing on books published in April 2015. It’s an eclectic mix this month, with two SF titles – Poseidon’s Wake and The Rebirths of Tao – which I would highly recommend to those who wouldn’t ordinarily head out into space. Closer to home, Irvine Welsh takes us on a filthy, unforgettable trip with ‘Juice’ Terry Lawson, Peep Show writer Jesse Armstrong unleashes his debut novel and Charlaine Harris returns with a non-Vampire tale set in the creepiest Texas town there is. And don’t forget our book of the month, Normal. We’re predicting big break out success for this creepy and compelling crime novel. Normal is an uncomfortable, but incredibly compelling read – and one that if you read too much about it before you start reading, will spoil the brilliance of the set-up, so no spoilers here! Our nameless narrator is a serial killer. He likes to hurt people. He isn’t the kind of person you’d want to spend time with. He isn’t normal. And yet, Graeme Cameron has decided to write this book in the killer’s own voice – a tricky, possibly risky move, but one that works incredibly well. Chilling, shocking and genuinely surprising, this is going to be a much discussed and much admired crime thriller this year. Love is in the air! Here are some covers we adore this month, including YOUR top-loved cover this month–A COURT OF THORNS AND ROSES by Sarah J. Maas! What genre(s) does your blog focus on? Fantasy and science fiction for all ages are my favorite, though I write about a fair number of picture books and graphic novels as well. Which book(s) would you suggest for a middle grade level reluctant reader? That really depends on what that particular reader is most interested in! But lately I’ve been recommending one of our Cybils finalists, Jupiter Pirates: Hunt for the Hydra by Jason Fry. It’s fast-paced adventure featuring privateers in space (so fun!) and at just about 200 pages, is a lot less intimidating than the average middle grade novel these days. I’ve also been talking up the Nick and Tesla series by Bob Pflugfelder, illustrated by Steve Hockensmith, for those who like a little more realism. These are mysteries also in the 200-age range, starring gadget-making twins, with instructions for the gadgets. The first book is Nick and Tesla’s High Voltage Danger Lab. For readers right on the borderline of early chapter books and longer middle grade books, I love the Lulu series by Hilary McKay, illustrated by Priscilla Lamont (which starts with Lulu and the Duck in the Park) and the classic Stories Julian Tells by Ann Cameron, illustrated by Ann Strugnell. Those are all prose novels, but often graphic novels are really important for helping reluctant readers bridge that gap between thinking in pictures and thinking in words. Personal favorites include Zita the Space Girl by Ben Hatke, Astronaut Academy by Dave Roman, the Mouse Guard books by David Peterson, Giants Beware! by Jorge Aguirre and Rafael Rosado, and anything by Raina Telgemeier. This month – gulp! – marks my eleventh year of book blogging. I started right around the time I got pregnant with my son because my on-line pregnancy group kept asking me what I was reading, and then wanting to go back to my old recommendations. I kept going after I joined an in-person parenting group. I found so many parents who had been readers before they had children. They often said that they didn’t have time for reading now, but it turned out that mostly they didn’t have time to go to a library or bookstore with their kids and pick something out for themselves. It’s so important for parents to keep reading, both for our own sanity and so our children can see us reading! As our children have gotten older, I’ve tried to deepen my coverage of the kids’ and teen books I’ve always read for myself to help parents match them up with their kids. How has being a NetGalley member impacted your blogging? NetGalley – oh, NetGalley! Why do you offer me so many new, enticing books to read, when there are already so many waiting for me on the library shelves? Now instead of just needing a book to read and at least one backup in print and on audio at all times, I need to have the same on my e-reader, too, or my book addiction starts twitching! More seriously, I really appreciate seeing what’s coming out, and besides letting me see those cool books early, being a NetGalley member has reminded me of the importance of communicating my thoughts back to the publisher, as well. What is the most gratifying thing about being a book blogger? The most gratifying thing is being able to help even more people find just that right book, especially if I can have conversations with people about the books. I’ve also gotten to know other wonderful book bloggers, which means discovering more authors and more discussions about the books we love. Do you feel that your role as a blogger and as a librarian impact and/or influence each other? Absolutely! I’m better at being a book blogger because of my experience helping people choose books in the library, while being a book blogger keeps me up-to-date on the books that are out there, which helps me do my work in the library better. I often find myself searching my old reviews for the title of a book I read a few years back that would be perfect for the patron in front of me. And while I know I’ll never be able to read all the books I want to, my fellow book bloggers help me seem more like I have with my patrons. Are there certain questions you usually ask when trying to match someone with a book? With reluctant readers especially, I usually ask what kinds of things they’re interested in, so I can find books to tie into their outside interests. Even though I think interest is more important than level, I usually ask kids about their reading level and how long a book they want to read. With kids and adults, I ask questions to figure out if they want genre or realistic fiction and whether they care more about plot or characters. You work closely with the CYBILS (Children’s and Young Adult Bloggers’ Literary Awards, can you explain the importance of these awards and a little about the nomination and awards process? I love the CYBILS awards! I’ve been following them for a few years now, and was honored to serve as a Round 1 judge in the Middle Grade Speculative Fiction category for the first time this fall. Here the way they work: In August, book bloggers apply to be judges, and find out in September if they made it or not. In October, books are nominated. From mid-October through December, the Round 1 judges read all the nominated books and come up with shortlists, which are announced January 1. Then the Round 2 judges take over and select one winner from each shortlist, which is announced February 14. One, the nominations are open – from October 1-15 each year, anyone can nominate one book in each of the categories. That means kids and teens can nominate their own favorite books, and small press or self-published books will get read right along with the books that get lots of hype. Three: the lists of finalists. I know it’s a good thing to have one final winner for simplicity, but my heart is with the list of five to seven books in each category that really showcase the breadth of good books in any given year. They are so helpful for giving people a choice without being overwhelming. 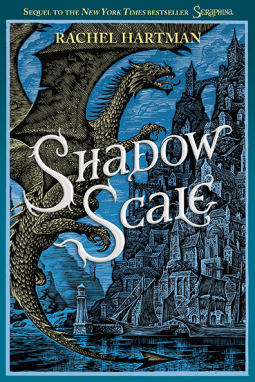 What is your favorite cover on NetGalley right now? 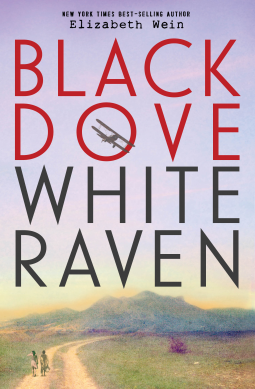 Black Dove, White Raven by Elizabeth Wein… no, wait, Shadow Scale by Rachel Hartman. The easy answer here is the book that I carried in my suitcase the year I traveled with Up With People – Beauty by Robin McKinley. These days I do a lot less re-reading and there’s a lot more competition – I’d say Raven Boys by Maggie Stiefvater would be a close contender. Every month, we get together to come up with a top-ten list of the UK titles we’re most looking forward to – and this month we’re focusing on books published in March 2015. It’s a great way for UK members to see and request what’s coming up – and also for all the US members to see what’s hot across the pond. The request links are for the UK edition, but where there is a US edition, you’ll also find a link to it. March is traditionally the beginning of spring, and the start of British Summer Time, but the ten top titles for this month are all rather dark in tone. You’ll find some outstanding new crime, a petrifying horror tale, and several novels that examine the shadier sides of contemporary life. After a vintage year for fiction, 2015 is shaping up to be just as exciting – but don’t forget to check out our non-fiction choice, The Forgiveness Project . It’s one of the most hard-hitting and thought-provoking things you’ll read all year. 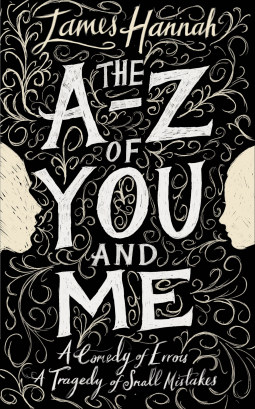 In a year that has already seen a fantastic array of debut novels, The A-Z of You and Me has already caught the eye of many people. It’s a simple enough set up – the story of one man in bed, asked by his carer to make an A-Z list, a part of his body for each letter and to tell a little tale about it – but one that gives an unusual and affecting slant on love and loss. 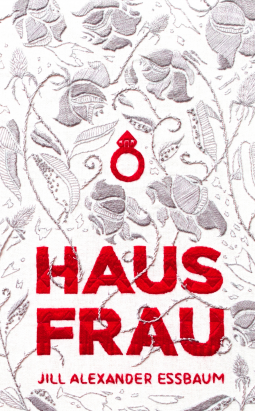 James Hannah has been compared to David Nicholls and Chris Cleave, but this is a novel with a unique and compelling voice, one that will make you see things anew. 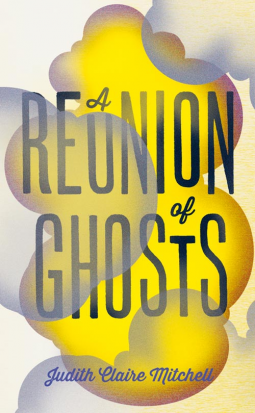 Complex, yet emotionally rewarding, A Reunion of Ghosts is a novel unafraid of addressing the big questions in life – love, death, guilt, family – and does so in a narrative that unfolds with true grace and skill. This is the story of the three Alter sisters, childless women who meet in the last days of the last century to commit suicide. The reason for their despair is a family curse, one that they can’t escape, and one that has affected three generations.